Sometimes an oil fired burner can get temperamental. Thermostat: Although it is a simple suggestion, check to make sure the thermostat is set higher than the room temperature so that it is calling for heat. Power: Make sure the main power switch is in the "on" position. Tripped Breaker or Blown Fuse: Check to make sure the power circuit feeding the boiler from the electrical power panel has not tripped from circuit over-current protection. Check Fuel Level: Check the oil storage tank to make sure it has fuel. Use a long wooden stick inserted into the tank bottom to check for fuel level if you do not have a fuel level gauge. 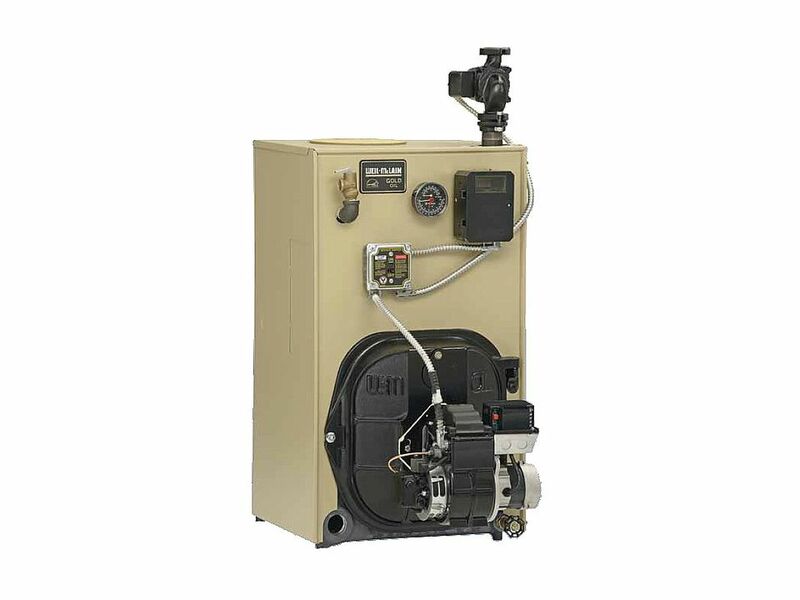 Restart Button-Ignition: Press the restart button on the ignition safety relay located at the burner or the flue stack. Restart Button-Motor: Press the restart button on the burner motor. Beyond the tips in this checklist you will have to remove the ignition firing assembly to check the ignition system operation. So if the boiler still does not fire up after you run through this list a visit by a repair technician may be in your future.